As we celebrated the 6 years of life of our little prodigy. Who discovered the magic of Dr. Seuss’s rhyming scheme. But needed flair and fun and something quite extraordinary. Momma was in the kitchen baking waffles and getting syrup of the maple. Momma was preparing a cake quite obtuse. That only a whacky wonderful Momma could make. Yes, it was birthday time at the Newquist household..yet again. We’d been celebrating since Sunday with dinners and gifts. My 6-year-old, who is learning how to read, has taken a liking to Dr. Seuss, so I thought a Seuss-ish celebration in order. Side view of the Whacky Waffle Cake. The image is blurry because the cake is probably falling. 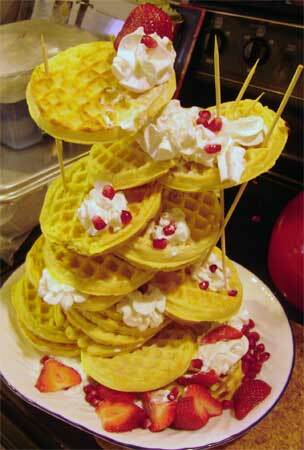 The best part was the Whacky Waffle cake I conceived–not well, I might add, because it kept falling over. But no one cared. 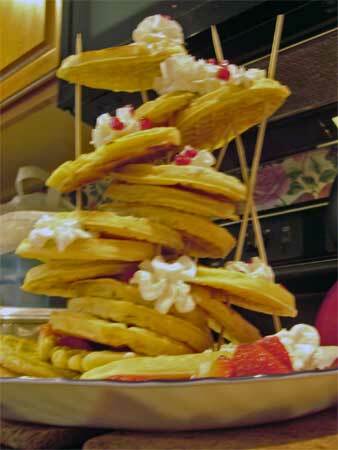 It was made with frozen waffles (cooked, of course), whipped cream (from a can! ), plus strawberries and pomegranates. 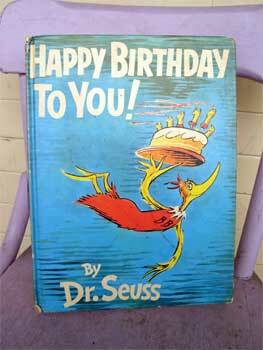 My read husband his childhood copy of Happy Birthday To You! by Dr. Seuss. 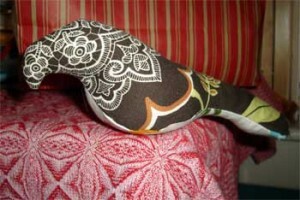 The Great Birthday Bird has quite the hooked beak, you know. And delivered a few gifts, such as a new pet. We didn’t have time to go to the Official Katroo Birthday Pet Reservation. Plus, with dogs and cats and fish and turtles, I really didn’t think we had the room to house a pet from the Katroo Birthday Pet Reservation, not the smallest nor the tallest. 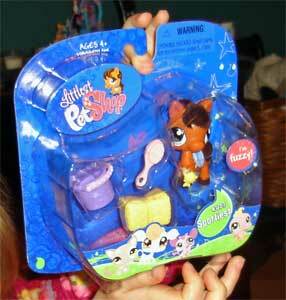 So instead we went for a new Littlest Pet Shop horse. We didn’t make it through the whole story because the cake kept falling over and the kids really just wanted the whipped cream out of the can (I never buy that). Honestly, though, I can probably save myself a lot of time and effort next year by giving her some gifts and a spray can of whipped cream to eat on everything! Bake waffles according to package directions. Stack a few waffles haphazardly. Plunge in wooden skewers in different directions. Pile fruit on top of waffles. Slide more waffles onto skewers haphazardly. Embellish with more whipped cream than necessary. Quick! To the table! Before it falls over! Don’t impale yourself on skewers trying to save the cake. Better yet, trim the skewers if you have time. Watch the whole thing topple over. Serves: A bunch o’ whacky waffle eaters from Katroo or Easton or Macungie.